James A. Secord closes his Visions of Science (2014) with an Epilogue, concluding that the early decades of the nineteenth century was a “period of projections, projects, and prophesies, of attempts to imagine the future.” This was the promise of the new science. The technological innovations in printing, publication, and distribution diffused the message of the new prophets widely. But this new knowledge had a life of its own, and both Tories and radicals feared it. The Tories feared its ramification on traditional values; the radicals feared it would ultimately distract the worker from his political plight. In any event, according to Secord the “secular millennium of useful knowledge trumpeted by Brougham in 1825 never arrived.” While the utopia quickly faded, a new prophetic ethos emerged, which “fed into a deeper and more lasting current of belief in progress.” Every author Secord discusses assumed that science “revealed the laws instituted by divine providence that underpinned the material and spiritual advance of civilization.” This is worth reflection. To these men and women, God had bestowed upon Britain a divine commission to “spread enlightenment across the globe.” They had a powerful vision of progress, and they used the new science to support it. Indeed, the new science need not lead to atheism or materialism. The metascientific works of the nineteenth century engaged the reader to reflect on “scientific law, the uniformity of nature, and divine goodness” simultaneously. However, this rhetorical strategy was remarkably altered a generation later. The scientific naturalists retained the metaphysical belief in progress, but left out the doctrine of divine providence of Christian tradition. Another generation later, men and women now pay obeisance to scientists themselves. Secord’s Visions of Science is readable, engaging, and informative. It is written however for a popular audience, with large text, spacing, and margins, encouraging annotations. Even the physical appearance of the book is inviting, the grey jacket cover going well with a black case cloth and red endpaper. His footnotes cite well-known authors, which provides guidance for further investigation. Some specialists will undoubtedly find faults and something to criticize. But it should be obvious at the outset that Secord pursued an non-specialist audience. A helpful Chronology follows the Epilogue, marking important political events and works published from 1819 to 1837. A guide to Further Reading follows, with classic and more recent works on science in nineteenth-century Britain. The work is printed on cheap paper, though, which made annotating difficult even with a fine round stic pen. There are also some embarrassing typos, such as, for example, when Secord writes “Book of Revelations” and “though” when he obviously meant “Book of Revelation” and “through.” This is surprise coming from editors of Oxford University Press. These criticisms notwithstanding, James Secord has produced an important book. 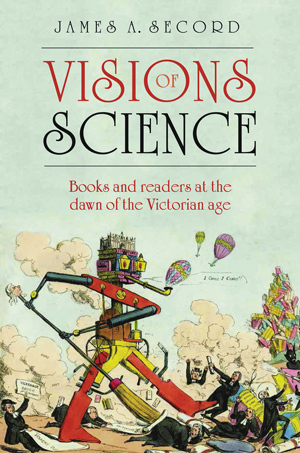 Both specialist and non-specialist will benefit from its insight and analysis of influential, early nineteenth-century popularizers of science. “Skulls do not lie.” That was the common motto among the phrenologists of the nineteenth century. In his sixth chapter to Visions of Science (2014), Secord examines the life and work of George Combe (1788-1858), the most read and well-known phrenologist of the nineteenth century. Most of what Secord writes in this chapter can be found in his earlier Victorian Sensation (2000). In addition, he makes use of previous studies, including Roger Cooter’s The Cultural Meaning of Popular Science: Phrenology and the Organization of Consent in Nineteenth-Century Britain (1984), and especially John van Wyhe’s Phrenology and the Origins of Victorian Scientific Naturalism (2004), which I have mentioned in another post, and Charles Gibbon’s biography of Combe in The Life of George Combe, Author of ‘The Constitution of Man’, 2 vols. (1878). Long before Darwin published his Origin of Species (1859), doctrines of natural law had been peddled by Combe—yet Combe has been accorded no role in standard histories of evolutionary naturalism. 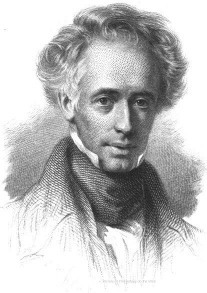 Combe originally published his The Constitution of Man, Considered in Relation to External Objects in 1828 to a select audience, but starting in 1835, when W. & R. Chambers began publishing an inexpensive “People’s Edition” version of the text, Combe became one of the most widely-read authors of the century. …never was I so entirely delighted with any book. That one small volume seems to me to comprise more wisdom, of a kind practically applicable to the production of human happiness, than all the ponderous works put together that I have ever met with. All the vague aspirations after any thing true or beautiful, which I have ever traced, faintly gleaming through the mystic or inconsistent pages of other writers, appear to me to be, in Mr. Combe’s book, concentrated into a steady, cheering, guiding light, by which mankind, if they would be accept the aid it offers them, might feel assured of attaining true felicity, both temporal and eternal. Combe wanted to give phrenology a greater “scientific” status, and what better way to achieve this goal than through the printed word. He developed a network of followers who published “primers, introductory surveys, advanced textbooks, and journals” on phrenology. 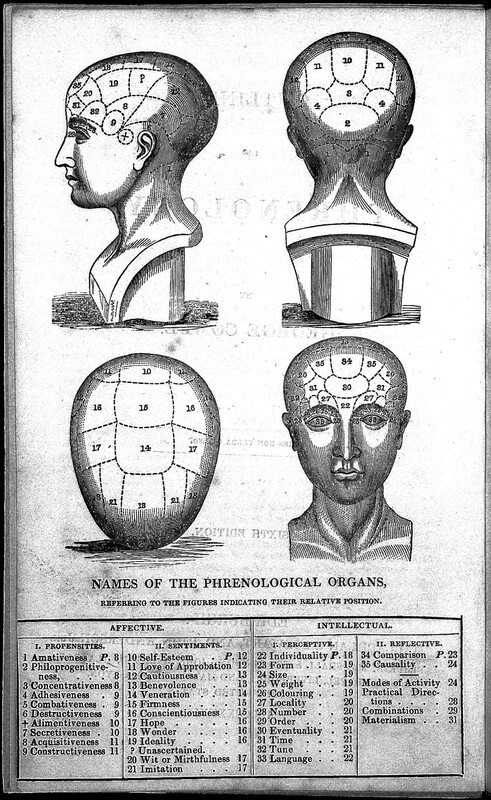 From polemical pamphlets and treatises to standard works of scientific reference, Combe pushed for the respectability and scientific status of phrenology. 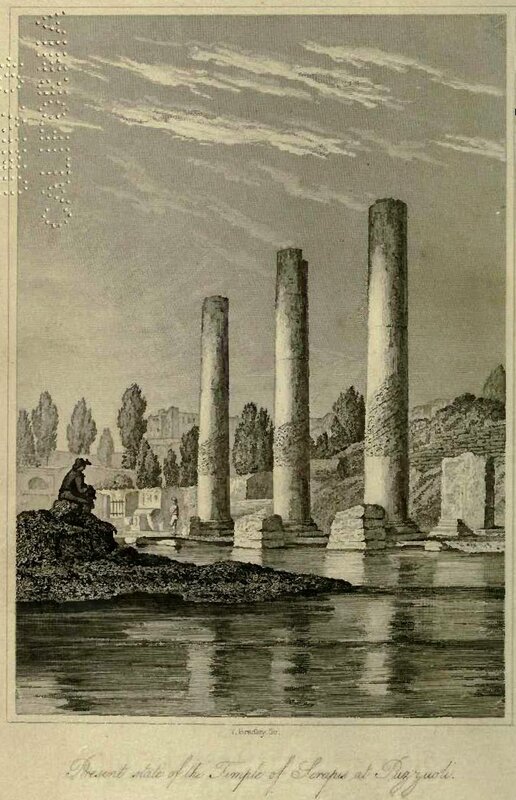 More than geology, the science of the mind was by far the most contentious of the new “sciences.” Radicals such as Thomas Hope (1769-1831), Richard Carlile (1790-1843), William Lawrence (1783-1867) and others used the new science for their materialist philosophies. 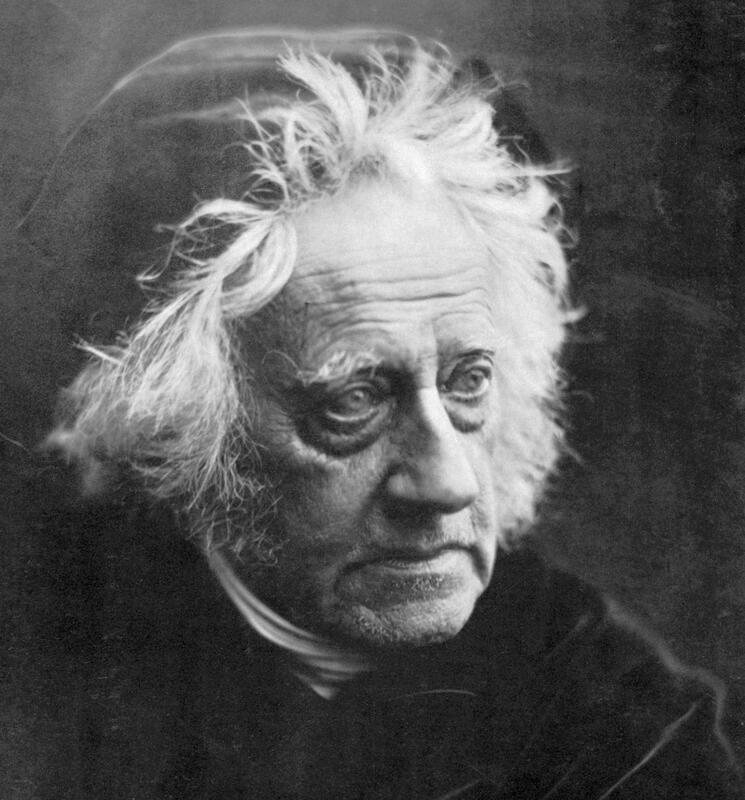 John Herschel is the next key figure in Secord’s Visions of Science (2014). Herschel wanted to see science reformed just as much as Babbage did, “but feared the execution in Decline a disaster from which it would be difficult for science to recover any shred of reputation.” This was not simply because he hated public controversy; rather, he saw science as a “conduct to everyday life.” In this sense, Babbage’s polemical writing lacked the qualities and character of the true man of science. The book’s “material form,” as Secord puts it, supports his claim. The Preliminary Discourse was published by Longman for Dionysius Lardner’s “Cabinet Cyclopaedia,” and modeled from other encyclopedic “preliminary discourses,” such as Jean le Rond d’Alembert’s (1717-83) Encyclopédie of the eighteenth century, the Britannica (1771), Ree’s Cyclopaedia (1802), the Edinburg Encyclopaedia (1808), and the Encyclopaedia Metropolitana (1817). Further, it was a small book: machine printed, on lower quality paper, with stereotyping, bounded with glazed pink calico cloth over boards made of card, and sold for six shillings. Further still, Herschel modestly presented himself on the title pages as simply “John Frederick William Herschel, Esp., A.M., Late Fellow of St John’s College, Cambridge, &c. &C &c,” without, as Secord aptly puts it, “an ‘ostentatious parade’ of honours and societies trailing in its wake.” The Preliminary Discourse sold well and was translated into French, German, Italian, Swedish, and Russian. Indeed, this was Herschel’s chief aim in the Preliminary Discourse: to develop these “habits of the mind.” He wanted to distinguish between necessary and contingent truths. In mathematics we have what is necessary. The properties of a circle or square remain the same whether we are in broad daylight or the darkness of a cell. But the senses can be “tricksters or magicians.” Because we are often misled by our senses, “nature and its laws” are always contingent. Science, in short, must be modest. 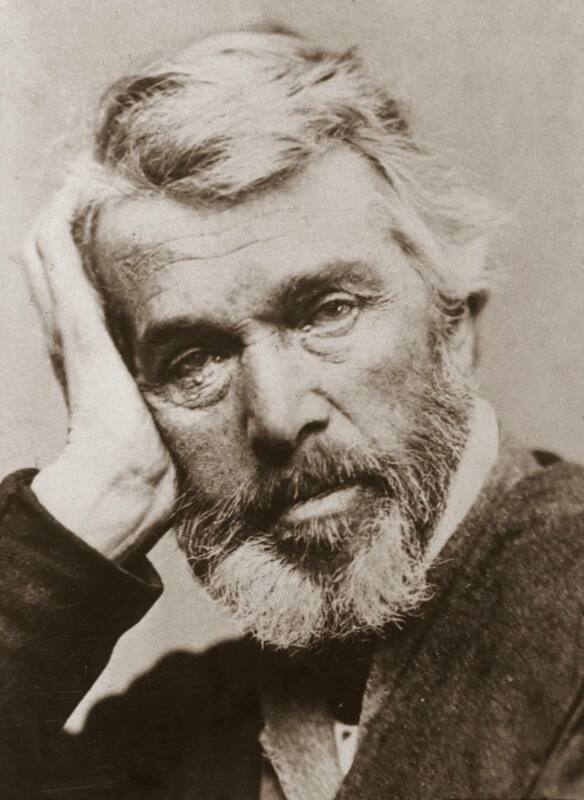 Herschel’s book became so popular that newspapers, magazines, journals, and pamphlets mined it for quotations, “becoming set-pieces to be learned by heart.” And this “serial anthologizing,” particularly in cheap weeklies, afforded readers who could not afford to read Preliminary Discourse, whether for economic reasons or time constraints, to learn from its sagacious author. Scientific thinking was presented as a higher calling that almost anyone could now pursue. 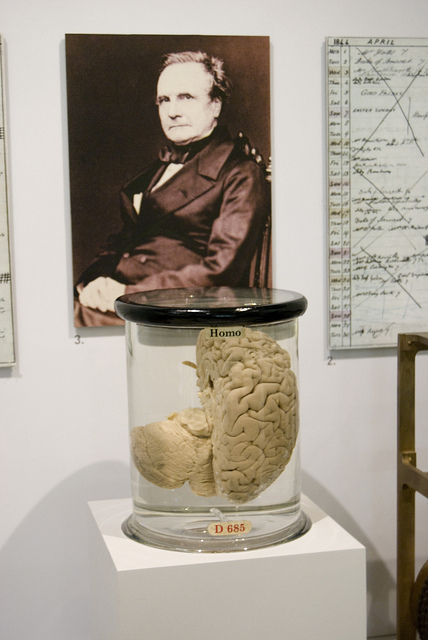 When he died, Charles Babbage (1791-1871), English polymath, mathematician, philosopher, engineer, and the “father of the computer,” donated one half of his brain to the Royal College of Surgeons, where it still sits in display today in the Hunterian Museum. The other half resides in the computing galleries of the Science Museum in London. Known for his magnificent calculating engine, Babbage “believed that machines would ultimately reshape intellectual labor as fully as they were transforming the craft trades and manual work.” The relationship between science and technology was a much contested issue during the early decades of the century. From our own vantage point, science and technology is often represented as inextricably connected, closely intertwined, and coterminous. This is a view presented to us largely by the media and Hollywood. But this commonplace ignores the immense complexity of a long historical debate. Not only has the historical relationship between science and technology been in constant flux, but historical figures themselves have held conflicting views. Those who argued for a close relationship between science and technology associated both with state funding and the economy. But this is a historically situated argument. During the revolutionary Napoleonic era, for instance, “science” was harnessed for national benefit. But was this knowledge, pursued for the welfare of the state, “science”? In the early twentieth century, historians of science such as George Sarton, Alexandre Koyré, Herbert Butterfield and others, would have said no. “Science,” Sarton said, “was about the production of truths, not technologies.” Koyré maintained that the great minds of the past, such as Galileo or Newton, were not engineers or craftsmen. Technological improvement was incidental, a mere by-product of the progress of science. This view, it has been claimed, was a reaction against Marxist histories, which portrayed science as the offspring of economic and technological development. Marxist historians Boris Hessen, Edgar Zilsel and others, argued that the impetus behind modern science was its economic utility. This, in a qualified sense, was none other than Francis Bacon’s (1561-1626) view. Indeed, Bacon insisted that natural philosophy should be cultivated and put into the service of the commonwealth. Likewise, the founding of the Royal Society of London fostered a utilitarian view of science. By the eighteenth century, France in particular sought to harness the technological potency of the sciences. New institutions such as the École Polytechnique, for example, were designed, write Peter J. Bowler and Iwan Rhys Morus in a different work, “to deliver an education in natural philosophy (to army cadets in particular) that was fully expected to result in technological and engineering expertise” advantageous to the state. To this end, Babbage felt justified in naming names. That is, he sought a “public accounting” of the failures of specific members of the Royal Society. For example, in his Decline of Science he attacked specifically astronomer Edward Sabine as a charlatan. He justified his public character assassinations by arguing that “a true philosopher, faced by accusation of corruption and forgery, would remain calm. Only those with something to hid would react badly; openness was a sign of honesty.” This was polemic at its finest. 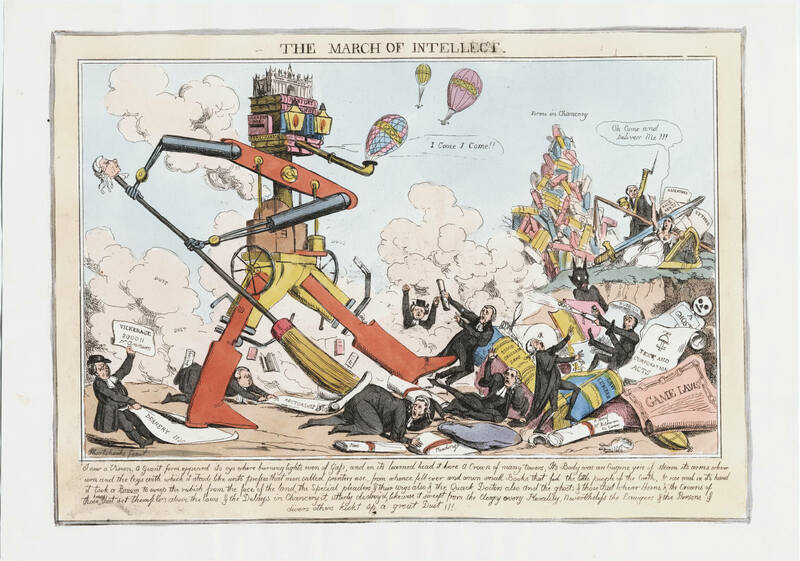 In his next book, On the Economy of Machinery and Manufactures, Babbage targeted the dirty secrets of the book trade, and, in much the same way he did with members of the Royal Society, he very publicly attacked specific publishers and printers for their moral shortcomings. But all this came at a cost. 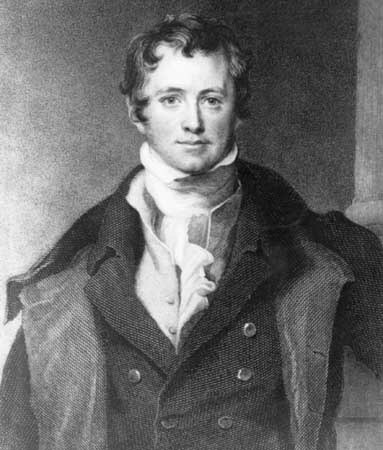 In 1832 he accepted the nomination as a Whig parliamentary candidate for Finsbury. He lost to the Tories. “Many readers,” writes Secord, “were uncomfortable with the praise Decline heaped on foreign governments that gave honours, money, and status to scientific men.” Men such as William Robert Grove (1811-96), William Whewell (1794-1866), and George Bidell Airy (1801-92) were not as enthusiastic as Babbage was for the Napoleonic regime. Whewell and Airy, for example, saw “no merit in Babbage’s argument that state funding for science was essential to ensure continued technological progress.” Babbage seemed to bestow too much power to the state. Secord concludes this chapter with some comments that beg further explanation. 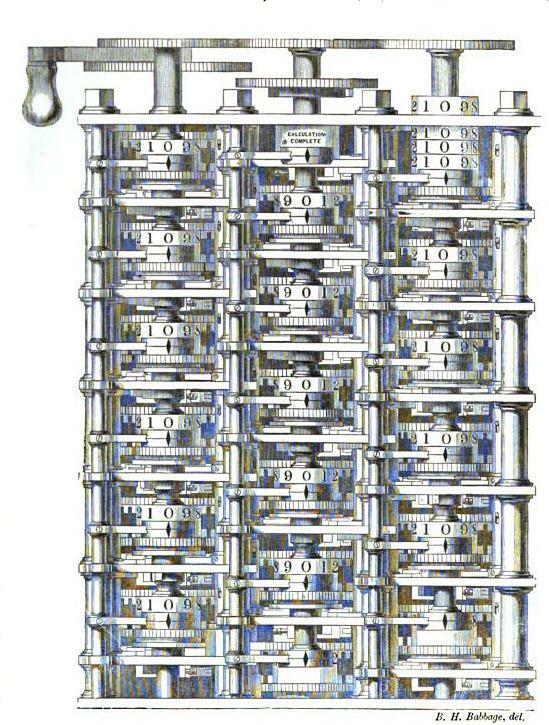 For example, Babbage seemed to think that although mankind was the masterpiece of “divine power,” “other planets still loftier forms of intelligence will have appeared, the product of the same laws of nature.” For this “Almighty architect” had created the universe by a process akin to a calculating engine. And what “looked to ordinary observers like miracles of creation could be understood by the man of science as the intelligent actions of a divine machine.” Secord says no more than this about Babbage, thus leaving his reader wondering what, then, was Babbage’s religious views? David Cahan’s (ed.) From Natural Philosophy to the Sciences (2003) takes stock of current historiography of the sciences in the “long nineteenth century.” In his Introduction, “looking at nineteenth-century science,” Cahan declares that “the study of nineteenth century science is flourishing.” During the nineteenth century, “the scientific enterprise underwent enormous and unprecedented intellectual and social changes.” These developments equaled or exceeded, Cahan argues, those in natural philosophy during the so-called “scientific revolution” of the sixteenth and seventeenth centuries. In the eighteenth century “science” still meant natural philosophy. It was only during the nineteenth century that “science” gained its modern connotations. This period was marked by redefinitions and significant reconceptualizations of scientific knowledge, ushering in new institutional and social structures, new practices, incredible advances in technology and industry, transforming culture, religion, and literature. Whatever the shortcomings of Merz, Bernal, and Ben-David, the fact remains that all “sought to provide a sense of the unity of nineteenth-century science.” The current volume under inspection encourages scholars “to consider attempting a new, broad, and synthetic interpretation of the development of nineteenth-century science as a whole.” According to Cahan, its objective is twofold: first “to present historiographical analyses of work done by scholars of nineteenth-century science”; second, “to pose questions for future scholarship that will lead to a broader understanding of nineteenth-century science as a whole.” To this end, each essay provides a “thematic historiographical analysis of the most important problems, intellectual traditions, literature, methods, modes of explanation, and so on in a given field of scholarship.” Cahan’s volume also aims to follow the bellwether works of its predecessors, such as David Lindberg and Robert S. Westman’s reassessment of the early modern period in Reappraisals of the Scientific Revolution (1990) or H. Floris Cohen’s The Scientific Revolution: A Historiographical Inquiry (1994), or for Enlightenment science, G.S. Rousseau and Roy Porter’s The Ferment of Knowledge: Studies in the Historiography of Eighteenth-Century Science (1980). Thus Cahan intends “to fill an essential gap in the historiography of the history of science” by encapsulating the current state of scholarship on nineteenth-century science and encouraging future research in the field. There are eleven chapters total, beginning with “biology” (Robert J. Richards), “scientific medicine” (Michael Hagner), the “earth sciences” (David R. Oldroyd), “mathematics” (Joseph Dauben), “physics” (Jed Z. Buchwald and Sungook Hong), and “chemistry” (Bernadette Bensaude-Vincent), transitioning to applied sciences in “science, technology, and industry” (Ulrich Wengenroth), the “social sciences” (Theodore M. Porter), “institutions and communities” (David Cahan), concluding with a chapter on “science and religion” (Frederick Gregory). Each chapter contains a wealth of secondary literature, enough to overwhelm undergrads and humble graduates and postgrads alike. Here I address only the chapter on “Biology” by Robert J. Richards. It was indeed the German Romantic movement, “which organized thought in biology, literature, and personal culture,” that “readied the soil in Germany for the reception of evolutionary seeds blown over from France in the early part of the nineteenth century and the more fruitful germinations from England in the later years.” This was largely achieved by Friedrich (1772-1829) and Wilhelm Schlegel (1767-1865), Friedrich von Hardenberg (1772-1801), Friedrich Schelling (1775-1854), and Johann Wolfgang von Goethe (1749-1832). The work of these men, Cahan writes, “provided philosophical guidance for numerous works of biological importance that would penetrate far into the decades” of the nineteenth century. The romantic movement gave impetus to works of physiology, zoology, morphology, geology and so on. It gave particular focus to Alexander von Humboldt’s (1769-1859) geography and naturalistic explorations recounted in his Travels to the Equinoctial Regions of the New Continent (1818-29). This work would inspire Charles Darwin (1809-1882) and Ernst Haeckel (1834-1919). These introductory remarks are intended to show (or perhaps provoke) the cultural context of biology. 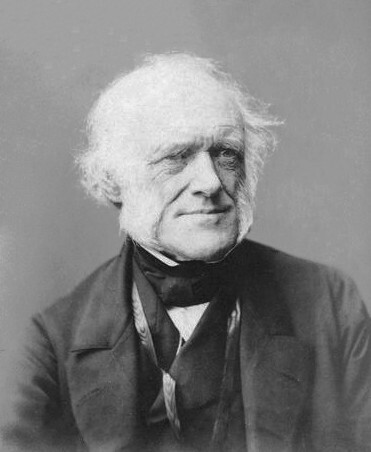 Traditional histories of biology have usually focused on its intellectual history; but a cultural history of biology demonstrates that the theories of Darwin, Mendal, Haeckel, Galton, Pasteur, and others, are best understood “as products of multiple forces.” In the reminder of his essay, Richards adumbrates a historiography of nineteenth-century histories of biology and concludes with a discussion on the ideals of cultural history. Starting with the centenary celebration of Darwin’s Origin of Species, historians of science, and historians of biology in particular, began spurning a previous generation of scholarship on evolutionary biology. For example, Loren Eiseley’s Darwin’s Century (1958) refuted, with historical argument, what he saw as the biological determinism in Darwin’s theory. In a later book, Darwin and the Mysterious Mr. X (1979), Eiseley reveals Darwin as a deeply flawed and basically dishonest seeker of self-aggrandizement. Eiseley “maintained that Edward Blyth, an obscure naturalist, had formulated the fundamental Darwinian concepts—variation, struggle for existence, natural and sexual selection—already in 1835, and that Darwin had tacitly appropriated them as his own.” John Greene’s Death of Adam (1959) likewise “dissolved Darwin’s genius into the musings of his predecessors.” In a collection of essays on Science, Ideology, and World View (1981), Greene also shows how Darwinism embodied a particular metaphysical worldview. once it is granted natural and theological conceptions are, in significant ways, projections of social ones, then important aspects of all of the Darwinian debate are social ones, and the distinction between Darwinism and Social Darwinism is one of level and scope, not of what is social and what is asocial…The point I [am] making is that biological ideas have to be seen as constituted by, evoked by, and following an agenda set by, larger social forces that determine the tempo, the mode, the mood, and the meaning of nature. Desmond’s Archetypes and Ancestors (1985) examined the Huxley-Owen debates and “detected beneath the scientific surface…an ideological divide separating the rising professionals of strong materialistic bent from the establishment and church-supported idealists.” In his later The Politics of Evolution (1989), Desmond shows that Darwin himself knew the political ramifications of this theory, thus explaining why he delayed its publication for some twenty years. With the renewed archival mining of the 1970s, a new set of scholarly works emerged. Howard Gruber’s Darwin on Man (1974), Edward Manier’s The Young Darwin and His Cultural Circle (1978), David Kohn’s “Theories to Work By” (1980), and Dov Ospovat’s Development of Darwin’s Theory (1981) all show—by careful study of his notebooks, unpublished papers and letters—that Darwin came to his theory only gradually (and sometimes painfully), through correspondence with contemporaries, yes, but also with “virtual” dialogues with social, political, and philosophical writers. In the mid-twentieth century, however, scholars were beginning to reexamine the theological context of biology. Neal Gillespie’s Charles Darwin and the Problem of Creation (1979), for example, argues that while Darwin gave up on dogmatic religion, he nevertheless retained theism for most of his life, and only much later subscribed to Huxley’s “agnositicism.” James R. Moore’s magnificent Post-Darwinian Controversies (1979) defends the thesis that “more religiously orthodox individuals could adjust to Darwin’s theory, since their views were more consonant with those of the Darwin who once studied for the ministry, while the more liberal thinkers were likely to succumb to non-Darwinian evolutionary theory.” Jon Roberts’ Darwinism and the Divine in America (1988) also maintains the surprising proposition that many American Protestants did not perceive Darwinism as a great threat. 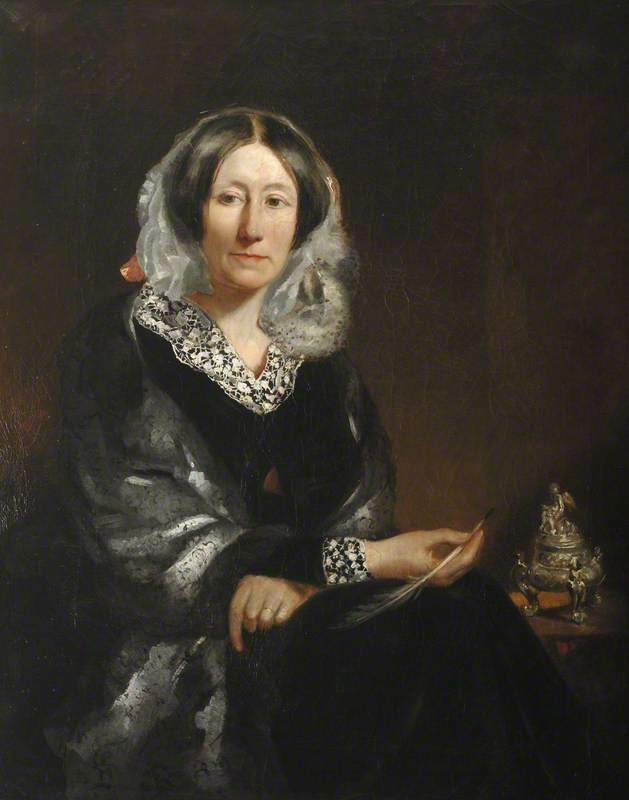 Other recent work has looked at the literary value of Darwin’s work. Gillian Beer’s Darwin’s Plots (1983) and George Levine’s Darwin and the Novelists (1988) “explore in fine detail the metaphorical structure of the Origin, as well as the resonance of Darwin’s ideas in the fiction of Eliot, Dickens, and other Victorian writers.” The effort of Beer and Levine are part of the larger concern with “the rhetoric of science” in recent decades.